We found 9 episodes of Comic Book Pitt with the tag “superman”. This milestone 300th episode also marks our ten year anniversary of podcasting! The entire CBP crew is at Sorgatron Media, talking about CBP's early days, some reviews, and our favorite books of 2018. Episode 296: Talking the Talk: Listener Questions, the Walking Dead franchise, and More! Dan, Link, and Scott tackle a list of questions from Jim Dietz of the Legion of Dudes podcast network and then they visit the world of The Walking Dead. In this double-sized episode, Dan and Scott have spoiler-filled discussions about Fantastic Four #2 and Avengers #9, talk about the post-breakup state of Batman and Catwoman, and go over the current works of Brian Michael Bendis. There's also a review of the DC Universe app and the first episode of Titans, plus we take a couple of listener questions. It's a DC Rebirth week here at the Pitt. 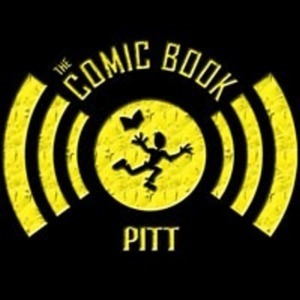 Episode 207: All New, All Different Comic Book Pitt! We welcome a new face to the Comic Book Pitt team! In this episode, Duke Jared and Dan talk about The Walking Dead season 5 (potential SPOILERS).